Lineup announced for Jamie Oliver's, The Big Feastival, 2016. Kaiser Chefs? Not quite! But The Big Feastival is back and bringing you Kaiser Chiefs, Mark Ronson (DJ Set), Foxes, Roisin Murphy and many more this summer alongside many top chefs. 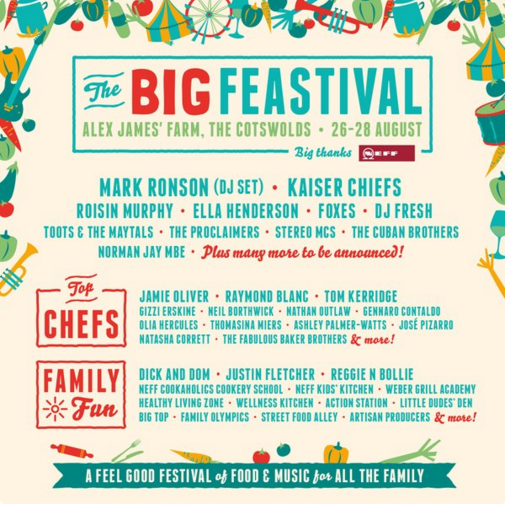 The Big Feastival is a festival combining food and music which is held on Alex James (Blur) farm in The Cotswolds across the weekend of 26th August 2016 until the 28th August 2016. The family friendly festival also raises funds towards The Jamie Oliver Food Foundation. The charity works towards teaching people to make healthier food choices and giving them the skills to eat well. Alongside music, top chefs such as Jamie Oliver himself, Raymond Blanc, Tom Kerridge will be appearing. There will also be a diverse range of feasts and banquets alongside Alex James own Cheese Hub and many cookery courses across the weekend. The full lineup so far for The Big Feastival 2016 can be found by clicking here. Tickets for the festival (day tickets/weekend tickets/camping/non camping) can be bought by clicking here. ← Bands without their original singers who still rock today. 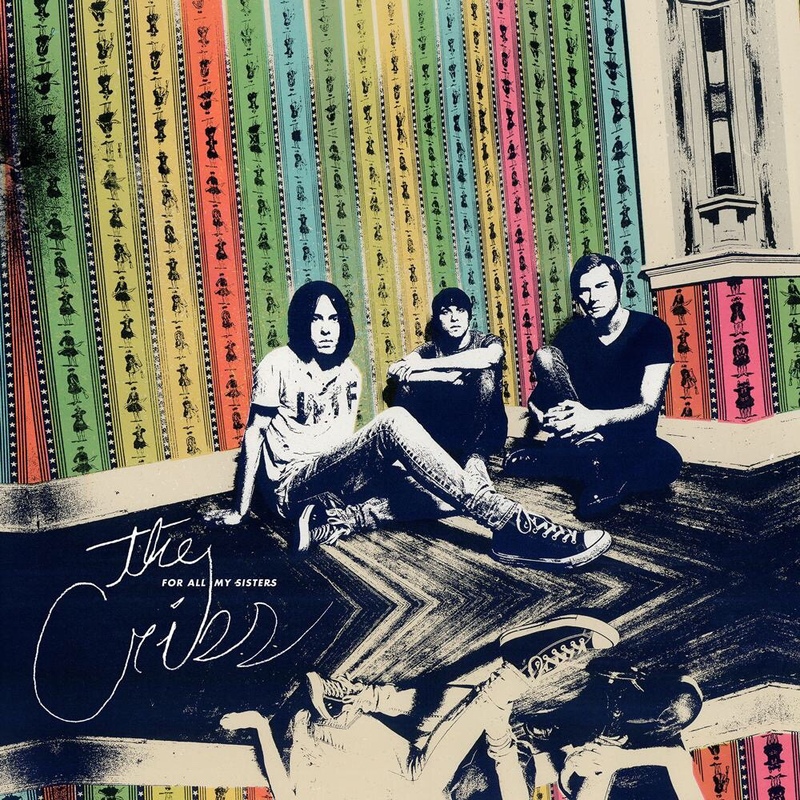 The Horrors announce new album and UK/European tour! Reverend & The Makers announce 6th album!